The latest statistics say that 1 in 91 children have a diagnosis of autism. 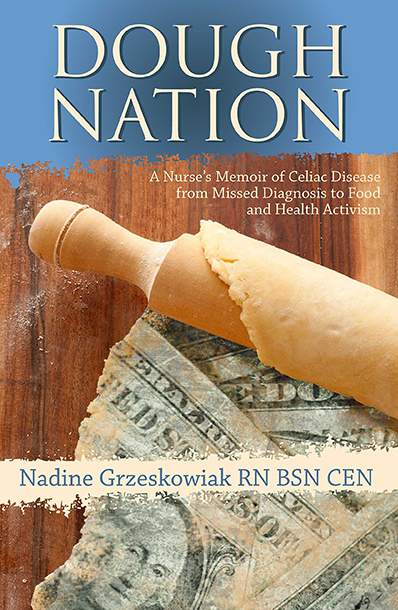 At the same time, it is now estimated that 1 in 100 individuals has celiac disease. Both of these conditions have paralleled each other in their increasing diagnosis over the years and recently, parents have been making the link, putting their children on gluten/casein free diets. However, what is behind the association between gluten and autism? Is there a link? Several studies say there is. An association has been observed between children who have gastrointestinal symptoms and a family history of autoimmune disease as well as language regression (Valicenti-McDermott, McVicar, Cohen, Weshil, Shinnar, 2008). The study included 100 children with autism spectrum disorder. According to their parents, those with language regression more frequently suffered from abnormal stool patterns (40% versus 12%) and 24% of the children with language regression had an increased family history of celiac disease or IBD while none of the children without language regression did. A smaller study of only 21 patients with autism found that 9 of the participants had an increased intestinal permeability compared to the control group (D’Eufemia, Celli, Finocchiaro, Pacifico, Viozzi, Zaccagnini, 1996). The study does not mention celiac disease, but it is important to note that it is a well known cause of increased intestinal permeability. We are fairly certain that yes, a link between celiac disease and autism is there. But has it been shown that a gluten free diet might help ease the symptoms of autism? A 5-year-old boy diagnosed with severe autism and suffering from gastrointestinal symptoms was placed on a gluten free diet and given nutritional supplements in a clinical study (Genuis, Bouchard, 2010). Not only did his GI symptoms quickly resolve themselves, but his symptoms of autism also progressively subsided. So does celiac disease have the potential to cause autism? And how does it do this? As the study of the young boy suggests, malabsorption as a result of celiac disease can lead to nervous system dysfunction thereby causing developmental delays. Another study mentions that the malabsorption of tryptophan in particular can lead to decreased central nervous system synthesis of serotonin (Margutti, Delunardo, Ortona, 2006). They continue to discuss that autistic individuals have increased anti-brain autoantibody production. This includes autoantibodies to the serotonin receptor specifically. Children with autistic disorders have also been found to have high rates of IgG for brain-endothelial cells. While not mentioning celiac disease directly, they concluded that autoantibodies may be a causative factor for the development of autistic disorder syndrome. Still a third study looks for celiac disease not in the autistic children themselves, but in their mothers (AtladOttir, Pedersen, Scient, Eaton, 2009). For the first time children of mothers who have celiac disease were found to have a three times greater risk for autism. The link is still not fully understood, but is thought to be due to deficiencies during pregnancy and/or prenatal antibody exposure. It is important to note that celiac disease is genetic. If the mother of a child with autism has celiac disease, it is highly possible that her child does as well. While it is unlikely that celiac disease is behind all causes of autism, it is worth taking into account these recent studies. If you or your child has autism, look into a trial of a gluten/casein free diet. AtladOttir H, Pedersen M, Scient C, et al. Association of Family History of Autoimmune Diseases and Autism Spectrum Disorders. Pediatrics [serial online]. August 2009;124(2):687-694. D’Eufemia P, Celli M, Finocchiaro R, Pacifico L, Viozzi L, Zaccagnini M, et al. Abnormal intestinal permeability in children with autism. Acta Paediatr 1996; 85:1076-9. Genuis S, Bouchard T. Celiac disease presenting as autism. Journal Of Child Neurology [serial online]. January 2010;25(1):114-119. Margutti P, Delunardo F, Ortona E. Autoantibodies Associated with Psychiatric Disorders. Current Neurovascular Research. January 2006; 3: 149-157. Valicenti-McDermott M, McVicar K, Cohen H, Wershil B, Shinnar S. Gastrointestinal symptoms in children with an autism spectrum disorder and language regression. Pediatric Neurology [serial online]. December 2008;39(6):392-398.